Yeah, the woman who did the Dear Fat People video. Youtube removed it and people rejoiced. I think I am the only one not rejoicing. Sure, the things she said offended a lot of people. I get that. What I don’t think other people get is that by removing her video, Youtube essentially condoned censorship. I have seen some really nasty things on Youtube – very nasty things that I would not want any of my nephews or nieces watching. Yet, a fat shaming video is taken down. I am not agreeing with what Nicole said – not one bit. However, I still respect her right to say it. Yes, I know Youtube has the final say in what videos stay and which ones go. It’s their business so it’s their decision. Still, we have to remember that good or bad, we still have the right to express our opinions. The past couple of decades we have been slowly censoring ourselves so we don’t offend anyone, yet people are still offended at almost anything they don’t agree with. You will meet people you don’t like and you will hear things said that will make you cringe. Instead of being offended by everything being said or done, we need to learn to turn the other cheek and simply walk away from the people that cause of grief. It is not our job to police everyone else and make then into who we want them to be. It is, however, our job to take care of ourselves. Sometimes the best way to do that is to pay the people who offend us no mind and just move on. Some battles are worth fighting…like the war against ISIS and making sure children have enough to eat. We need to pick our battles much more carefully. I think the best thing we could have done when it comes to Nicole was to just look the other way and not react. The reaction she got was exactly what she wanted. Many people think they won this battle against her, but you didn’t. Her goal was to make you uncomfortable and angry and she did just that. Yes, I know she recently lost a job on a movie over the video. But there will be plenty of other people out there that don’t care about the video, and they will hire her. All the talk has won her a ton of attention. And, as they say, any publicity is good publicity. Be it from good things or bad, now millions more know who she is. She won and we condoned censorship. Seems like the “good guys” lost this one and they haven’t even realized it. This entry was posted on September 11, 2015 by Richard Allen. 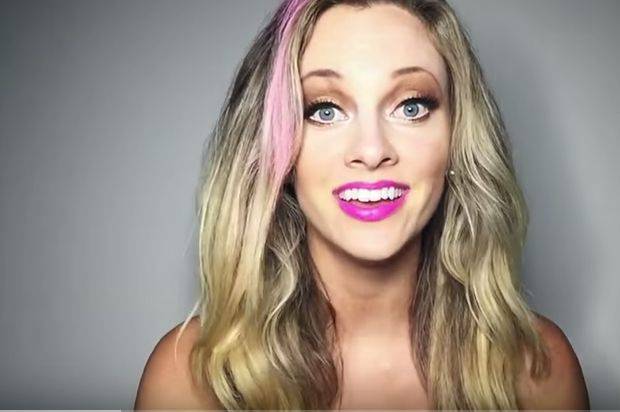 It was filed under Richard's Life Answers and was tagged with Fat Shaming, Nicole Arbour, video, YouTube.